Tokyo, Japan – November 25, 2014 – LINE Corporation, owner and operator of the free call and messaging app LINE, announced that it will open Japan’s first “LINE Friends Store” in Tokyo’s Harajuku District on Saturday, December 13. The shop will sell exclusive LINE character goods not available anywhere else. Up until now LINE has created and sold its character goods in a number of shops worldwide by offering licensing to third-party companies, but with the LINE Friends Store they will be selling over 400 exclusive official LINE character products that can only be purchased in Japan’s store. The offering of products includes stationery, stuffed toys, plates and utensils, and others products that are perfect for gift-giving. In the future the store plans to offer designer products in collaboration with international brands such as Swarovski, Bookbinders Design, Gustafsberg, Muurla, and more. To celebrate the opening of LINE Friends Store on Saturday, December 13, the first 200 customers to arrive on the first day will be entered into a lottery and 50 of them will win the premium “Metallic Brown” item, not for sale anywhere. Everyone who buys any products from the store during its first month will get a set of original LINE Friends Store stickers. 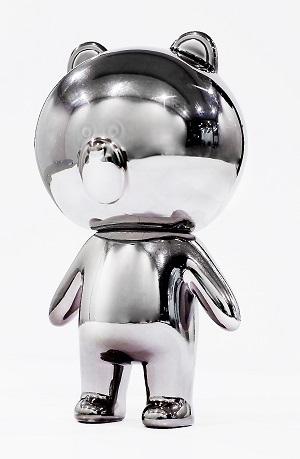 will receive the shining silver Brown statue “Metallic Brown” via lottery. This product is not on sale anywhere. LINE Friends Store will receive a set of original LINE stickers. 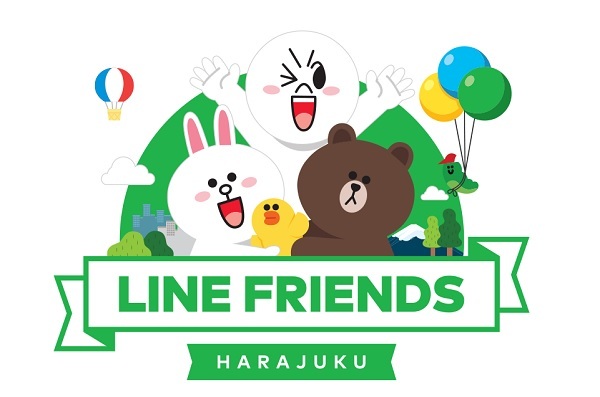 Information about new events, promotions, and items on sale at the LINE Friends Store will be sent to users through its LINE@ business account (LINE@ account: @ lfs_harajuku). The account will be holding an event to give away tickets to the private viewing held the day before the store opens, and will also be posting pictures of the interior of the store before it opens. Harajuku is immensely popular among young people and is a continual source of new trends and fashions, and by opening the LINE Friends Store, LINE will be able to connect with even more customers through its original character products, including not only LINE users, but also children and tourists from abroad.